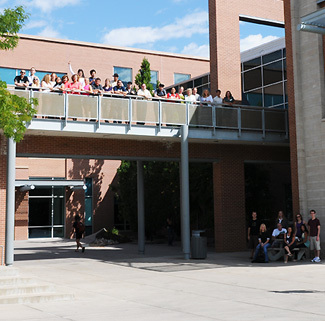 The mission of Academic Advising is to create a partnership with students in developing their educational goals while engaging and empowering them to become self-sufficient and active learners. Academic advisors are available to help students obtain program information, evaluate assessment results, select courses, identify course prerequisites, complete graduation evaluations and assist with transfer planning to a four-year college or university. 15 to Finish or 30 to Completion! Why get stuck spinning your wheels? 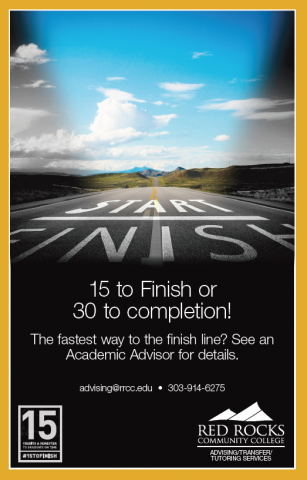 See an Academic Advisor to make your roadmap. To finish in 2 years, we recommend 15 credits of well-chosen coursework per semester (30 total credits per year). Check the Advising FAQs page and the information under the buttons above to see if your question can be answered right away. If you are a new student, be sure that you have applied, completed the online orientation, and have completed the placement test or submitted ACT/SAT scores and/or college transcripts. Take a look at the Advising FAQs page and/or the Advising mobile app for more information!